This year’s tournament took place at the Collicutt Siding Golf Club at Crossfield, Alberta on Saturday August 19th. It was a beautiful day, filled with fun moments and fond memories. Approximately 30 employees and friends came out to attend the event. We gathered cash donations in memory of John Anton with the proceeds supporting the Alberta Cancer Foundation. Startec matched all donations this year with a total of $1100.00 being raised and just under $5000.00 since inception. Special thank you to Daryl Standish from Investors Group as well as Toole Peet Insurance who sponsored the event providing hole-in-one prizes for the event. 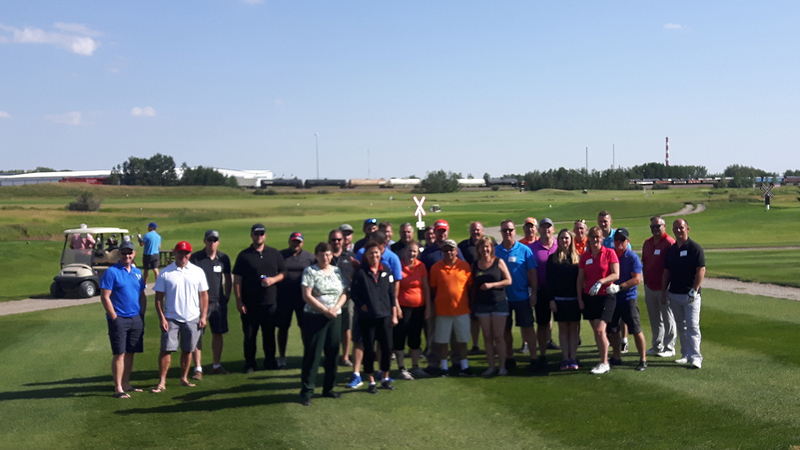 Thank you as well to the members of the Startec family who turned out for this fun day out on the golf course which allowed us to raise funds for this very important cause.